As I always say: there’s no better way to see a place than by running through it. And traveling to destination races gives me the opportunity to do just that, combining two of my passions – travel and running – in one fun trip. 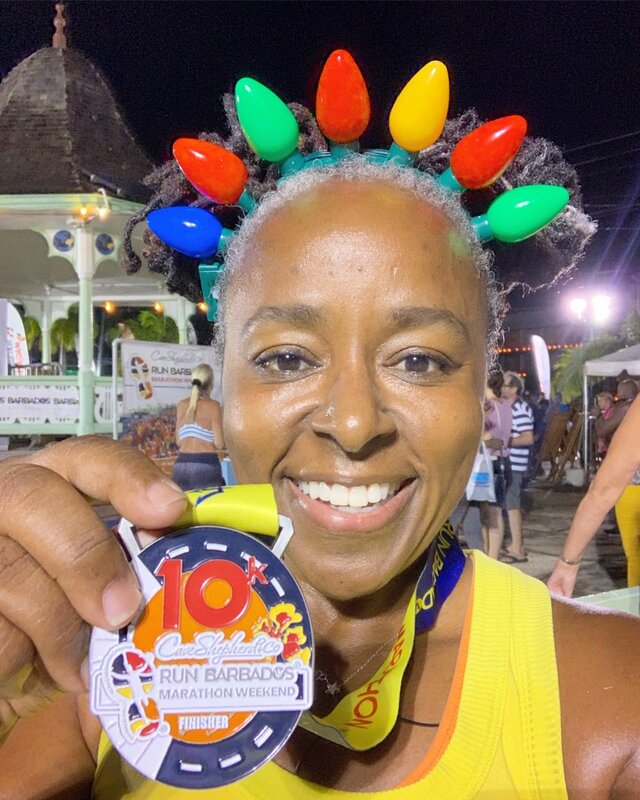 I’ve raced everywhere from Antigua to Australia, and last December I was invited to participate in the Run Barbados Marathon Weekend. 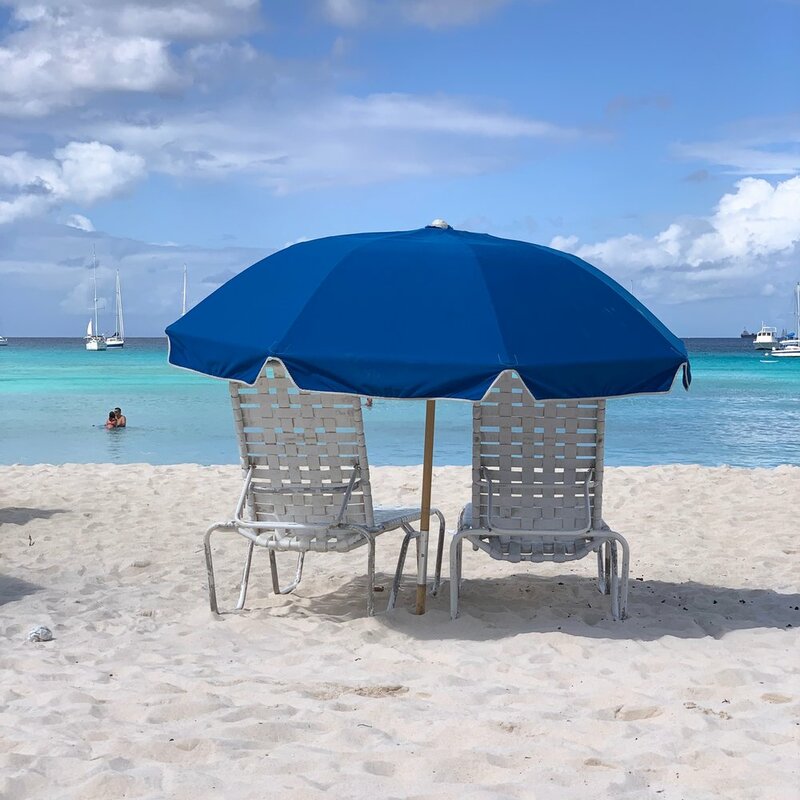 Established more than 30 years ago, the Friday-through-Sunday event begins steps from the sand at the bayfront esplanade at Carlisle Bay. And its five races include something for every runner: a mile-long sprint on Friday evening; a 5k and 10k on Saturday evening; and the half-marathon and marathon on Sunday morning. Because in Barbados, bling tastes better with deep-fried fish cakes! Saturday’s 10k was another evening race (the 5K started 45 minutes earlier), taking us into the capital, Bridgetown, past Rihanna Drive (hey, Rhi-Rhi!) and then along Bridgetown’s main thoroughfare, Bay Street (all lit up with Christmas lights) and back to Carlisle Bay. It was humid and warm but that didn’t stop me from sharing some festive cheer in my holiday-themed light-up headband! The half and marathon start in the (thankfully!) cooler wee hours of the morning on Sunday, but temps later in the day – which soared to the mid 80s – made me happy I’d passed on running 13.1! (#10kforlife) Runners were still finishing when we set off on Cool Runnings’ catamaran cruise later that day. With snorkel stops, buffet lunch and plenty of rum punch, it was a great way to see the island and to meet other visitors, many of whom were also runners. Impromptu medal shoots ensued! 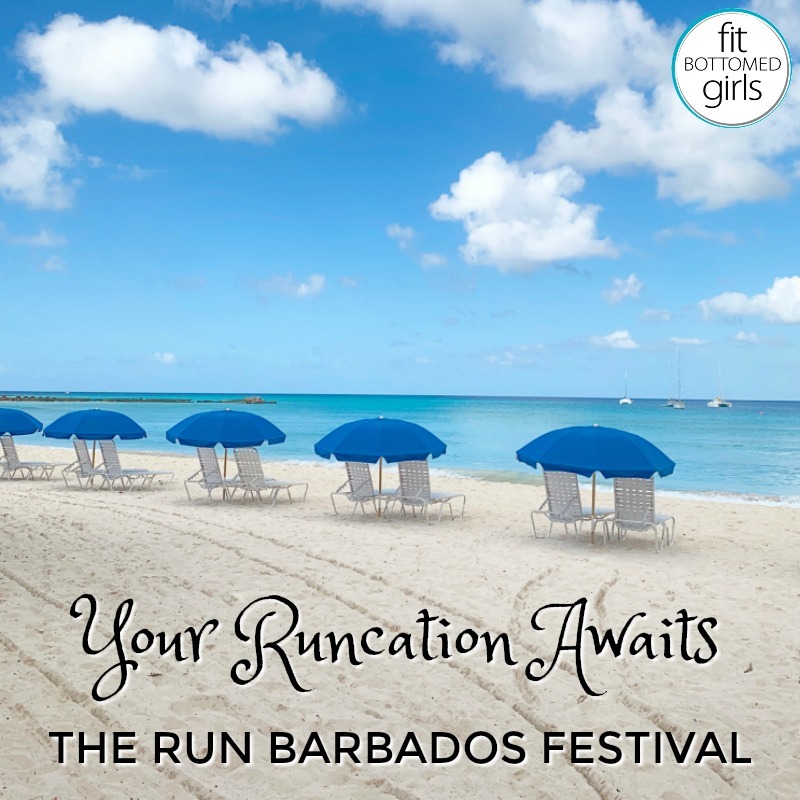 And then, for a full race report, plus my reccs for where to stay and what to do on Barbados, hop over to Fit Bottomed Girls and read my story. And you MUST have a fish cutter (sandwich) from Cuzz’ food truck on Pebbles Beach. Can’t say I’d mind waiting at THIS bus stop! 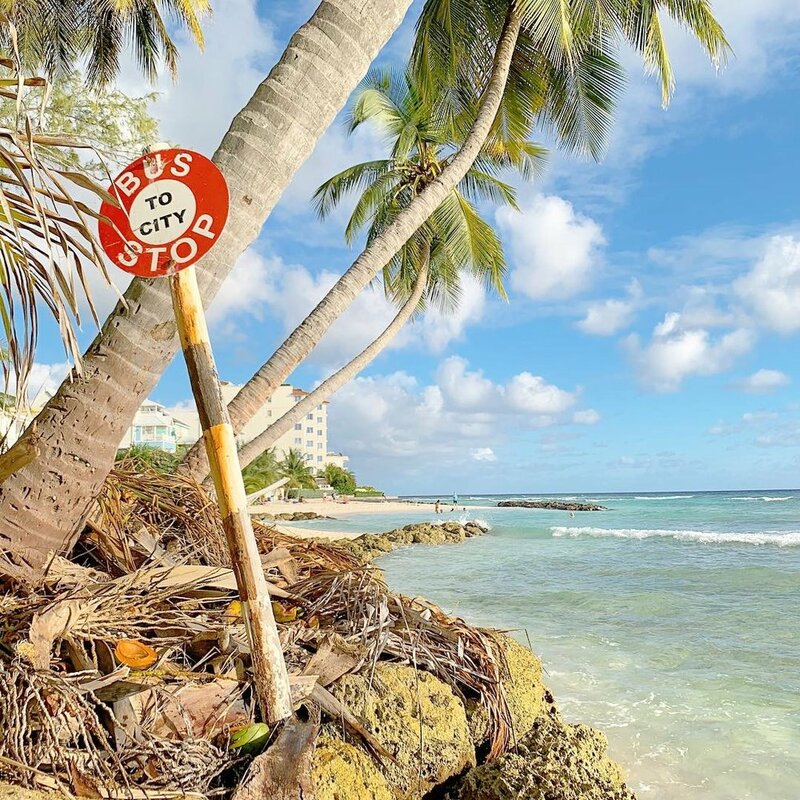 I saved you a seat on Pebbles Beach! How soon can you get here?